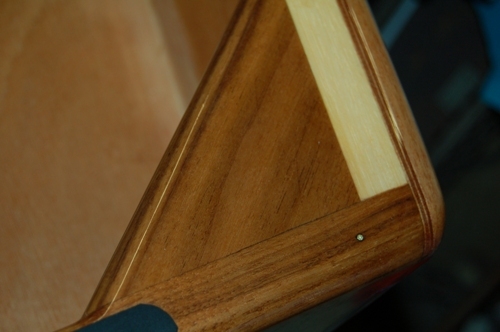 Wooden hull, varnished and painted blue. 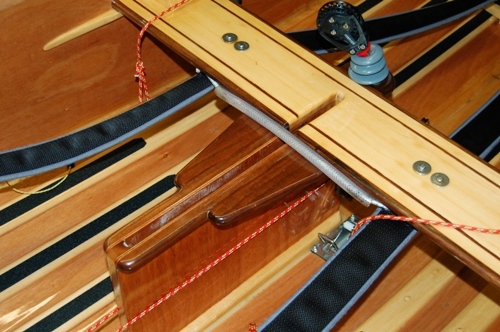 In good condition, perfect for learning to sail in. 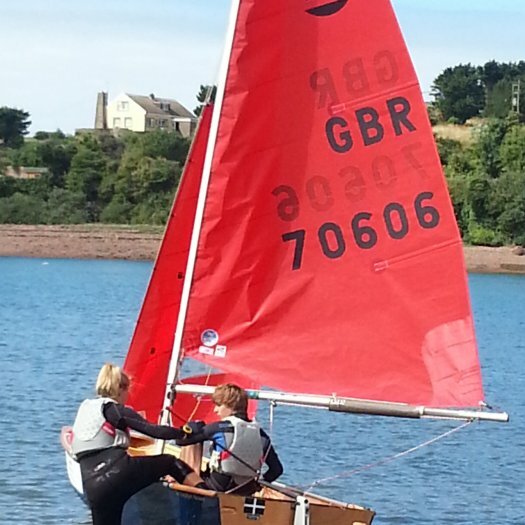 One set of sails plus spinnaker. 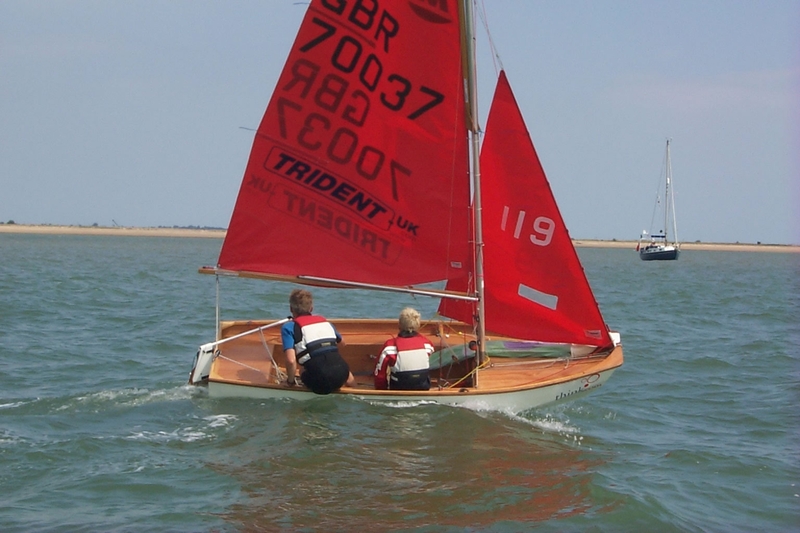 Has raced at Itchenor SC during Junior Fortnight and berthed at Club. She was sold by 19th July. 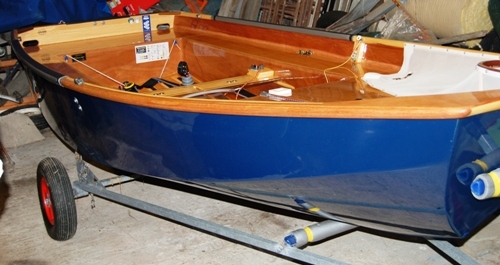 Built by Winder Boats in February, for Peter Sedgewick. Hull is dark grey with white interior. Fitted out to race specification. 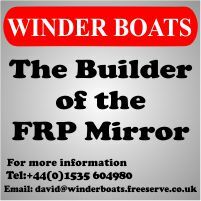 Refurbished by Winder Boats, so any chips or knocks were fully repaired so hull is back in perfect condition. 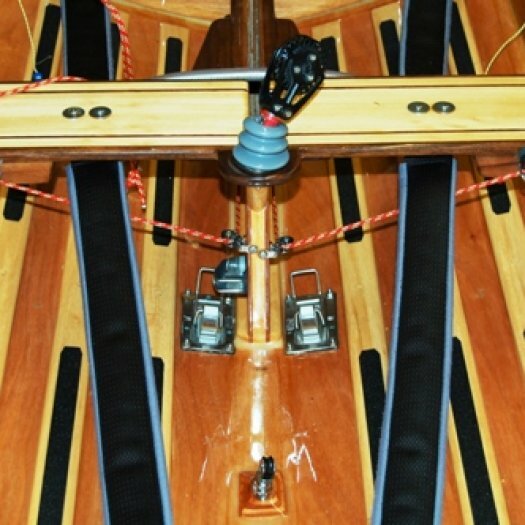 New ropes, no fraying, lime green on grey colour scheme. 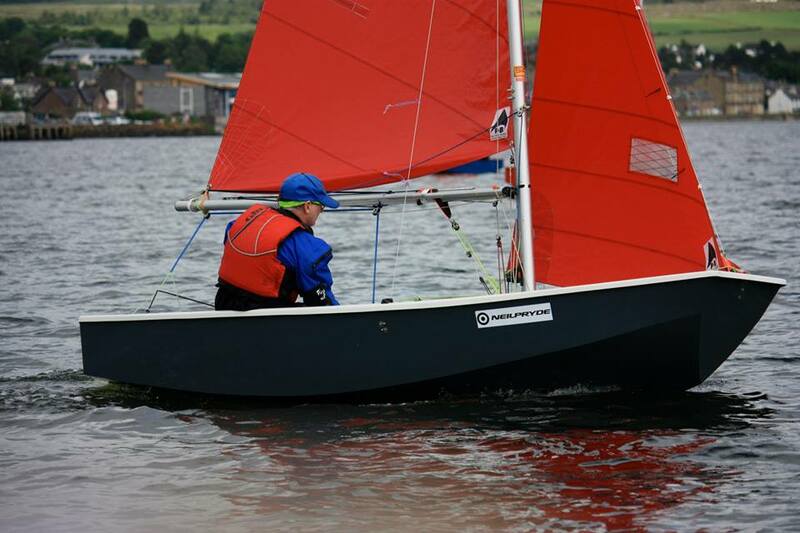 1 set racing sails, only used for Nationals and Euros, achieved great results, many open competitions won. All blocks fully functional, lubricated and very smooth running. 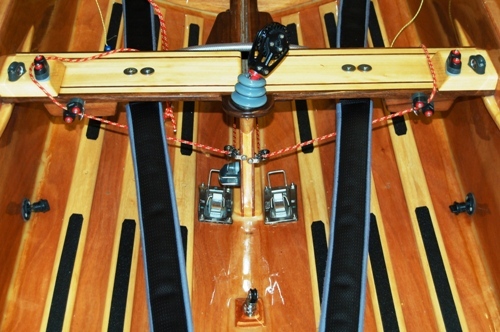 All controls (kicker, downhaul and outhaul) lead back to thwart for easy access. 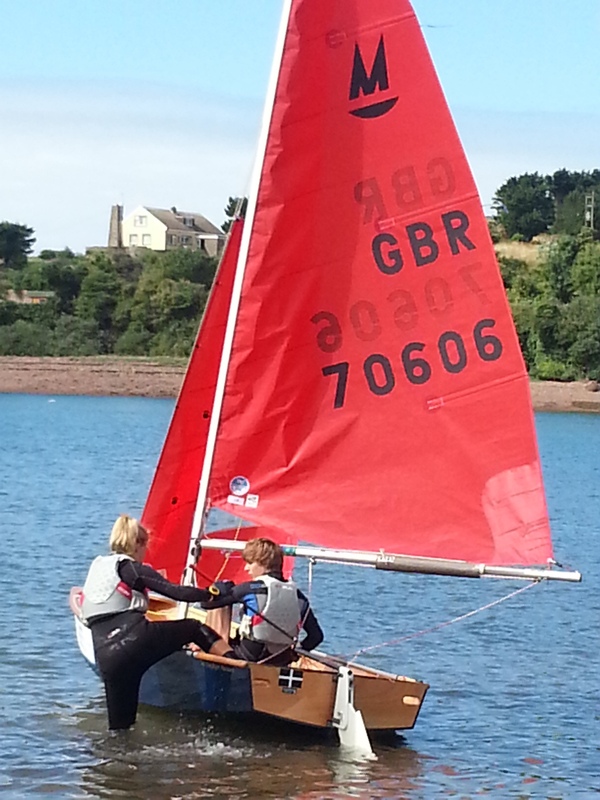 Full set of training sails, still in good condition. 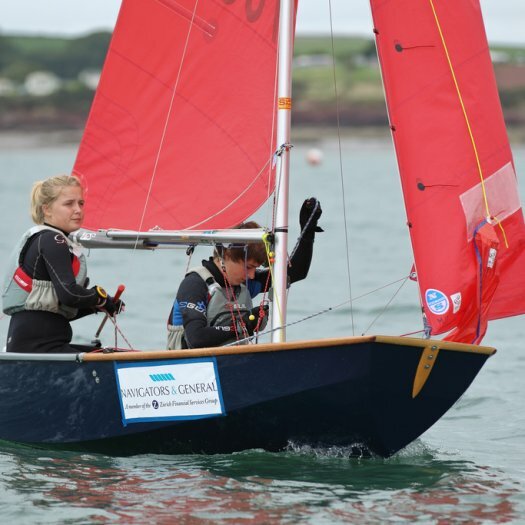 Both spinnakers are the new cut, proven fast. 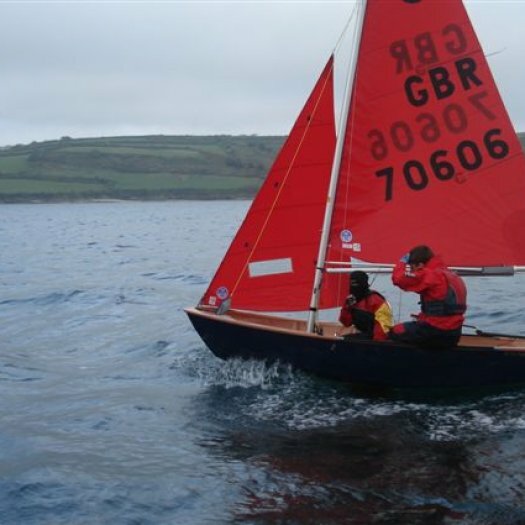 Undercover, trailing (flat) cover, and custom-made dark grey mast-up cover, in excellent condition. Under thwart bag also included, for holding food / drink in regattas. 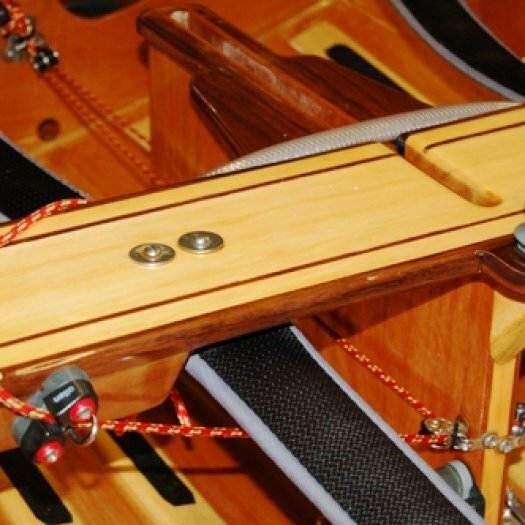 with mast and boom in excellent condition. 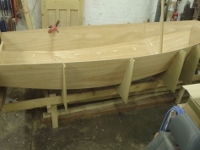 The boat was purchased and is now in Scotland. 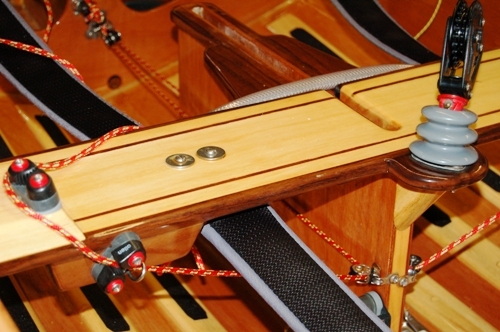 Built by Alistair Duffin, for Steve Wilkinson (Cornwall). 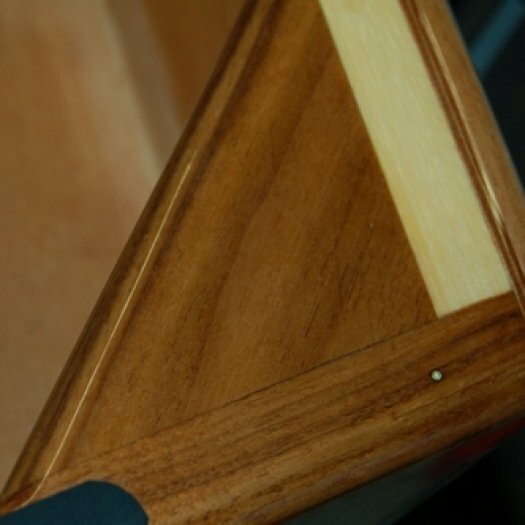 Some hardwood parts were walnut as a special order. 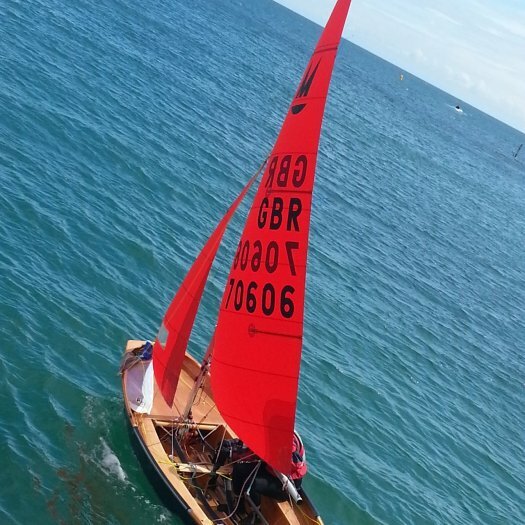 Painted and varnished by PaintCraft, fitted out to race specification by Steve Wilkinson. 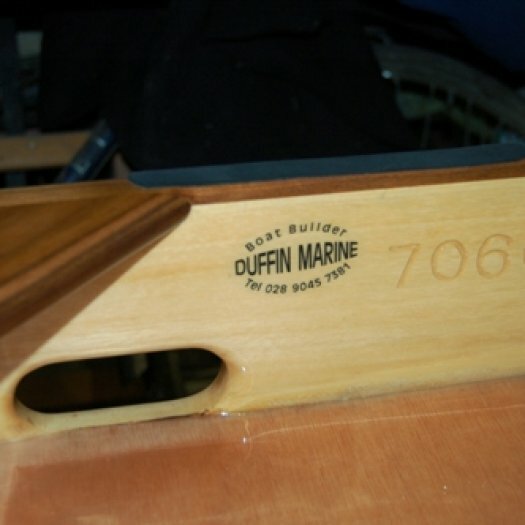 Beautiful boat built by Alistair Duffin and finished by Paintcraft. 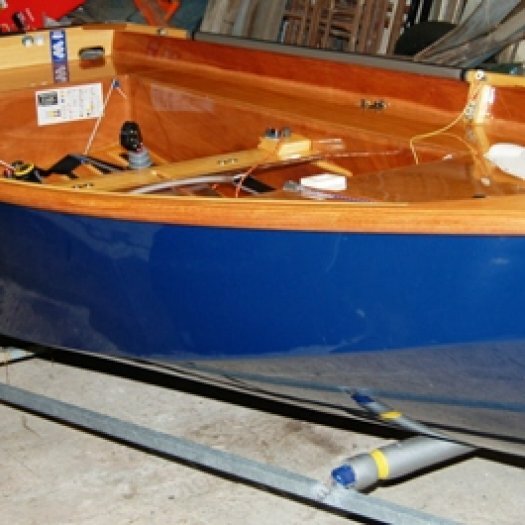 Launched in early 2010, the boat has been lightly used. 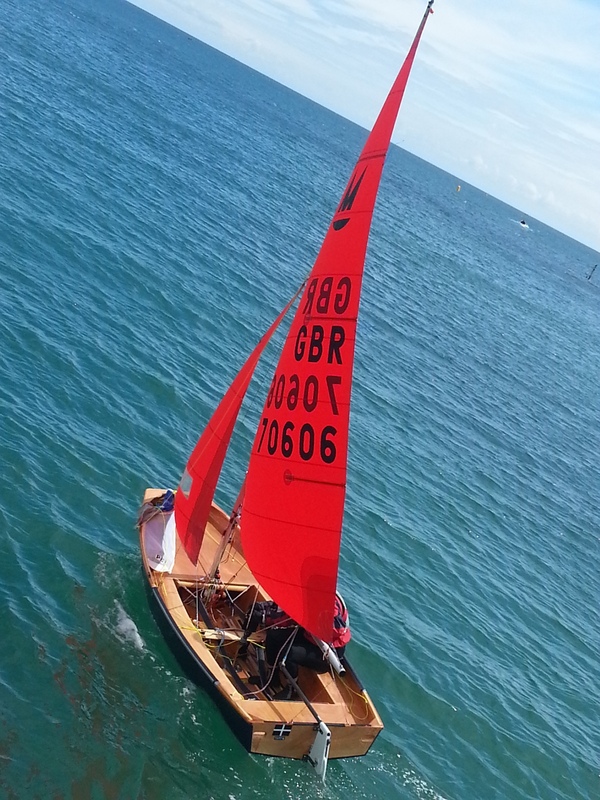 A fantastic boat and gets much admired. Trident combi road trailer and trolley with spare wheel. Superspars mast with Seldén boom. 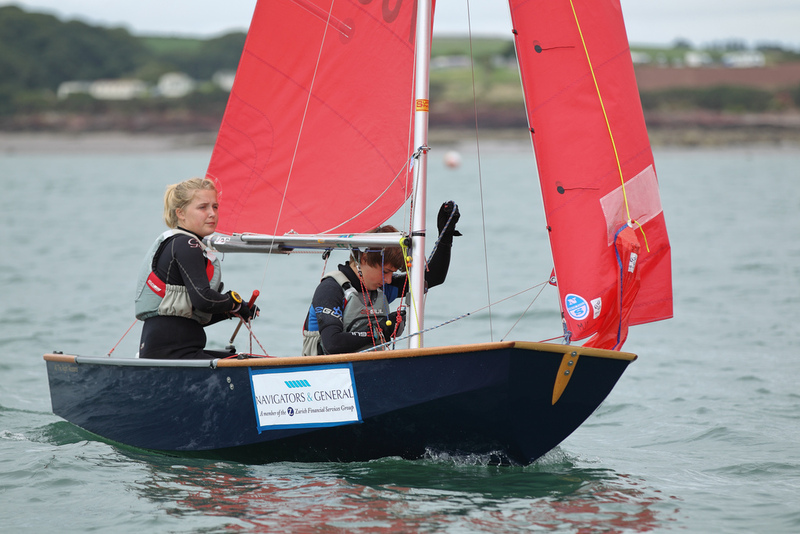 2 suits of sails by North & Speed. One suit is a complete North set. 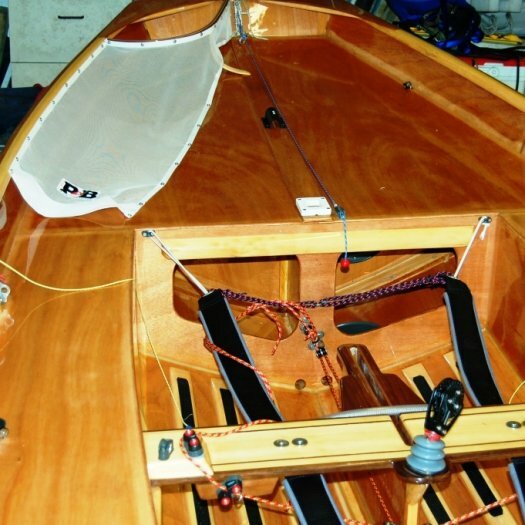 The other suit is the original North main & jib bought with the boat and a Speed spinnaker. 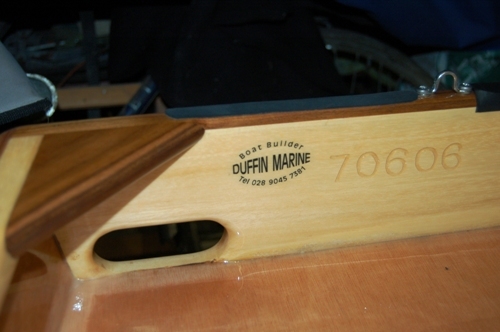 The boat is fully measured with certificate. Needs to be viewed to be full appreciated. 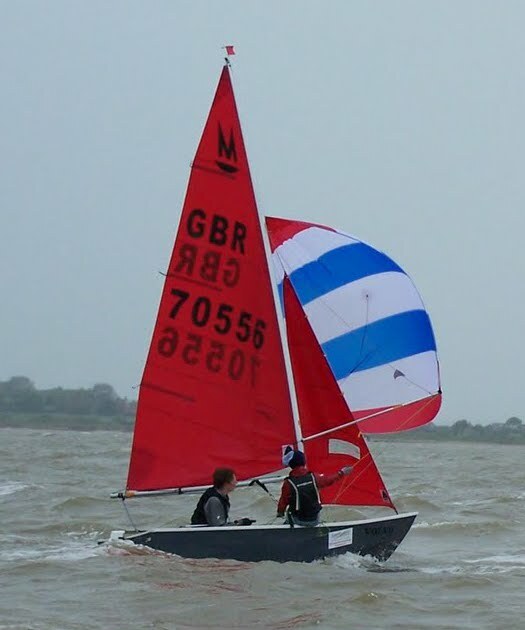 very lightly used P&B sails in excellent condition. 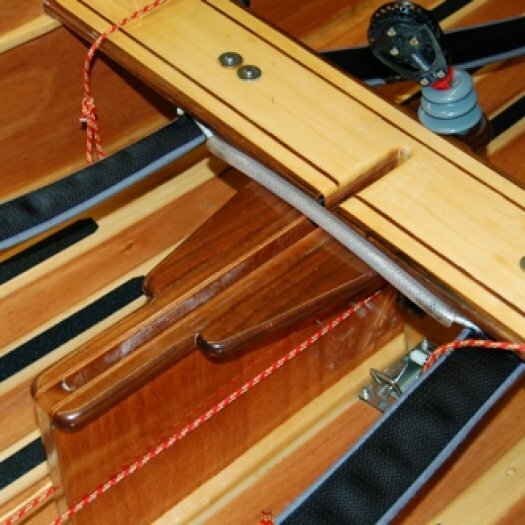 P&B fly-a-way spinnaker pole system. top, trailing and under covers in vgc. 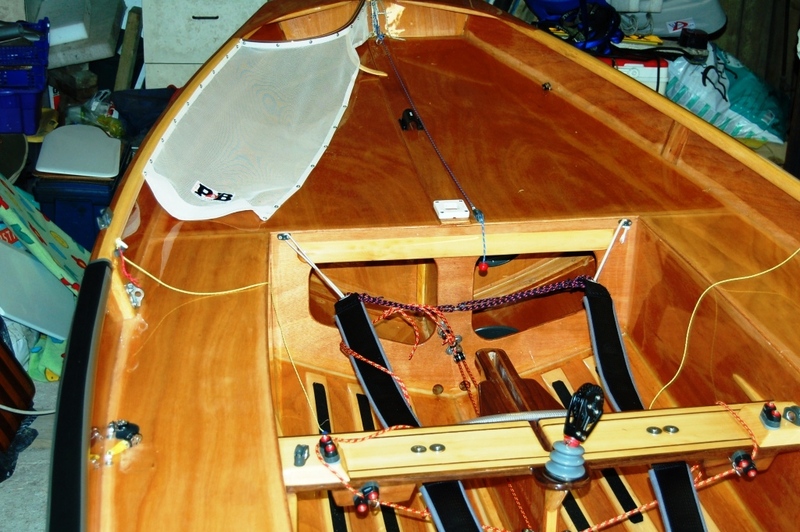 Wooden boat built by Dave Gebhard of Trident-UK. Southern Travellers series - winner of best adult and child. 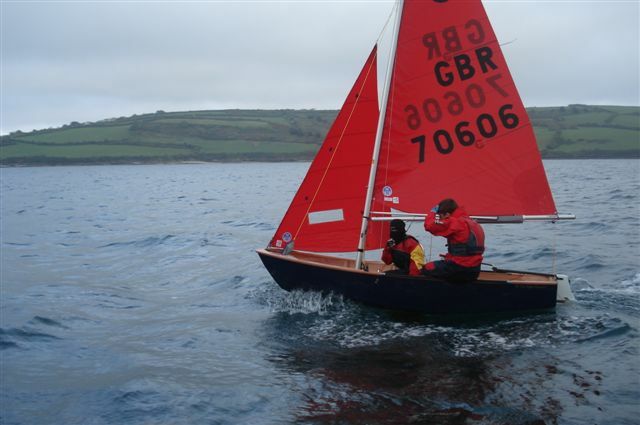 Far and away the fastest boat in our club despite not being sailed well! Have moved up to a Wanderer. 70501 - .....and Perky ?